With over 300 victories at every latitude in official UCI calendar races, the team has written some of the most significant pages in the history of international cycling in the last decade. Over the years the team’s prestige has grown exponentially—so much so that the team is universally recognized as the Ruler of the Classics. In fact, since 2003 the team has conquered no less than 16 “monumental classics.” Add to these 3 world road titles, 3 time trial world championships, 2 World Cups and an Olympics and you’ve got a team to be reckoned with. Many champions have been essential to the team’s formation and progress, particularly Paolo Bettini, one of the most intelligent and greatest riders of all time, who holds a record number of victories in the classics and is a two-time world champion; the Lion from Flanders, Johan Museeuw; and Tom Boonen—with 3 victories in Paris-Roubaix and 2 in the Ronde van Vlaanderen among his more than 100 career victories, he’s one of the most winning athletes still riding and one of cycling’s brightest stars. In addition to the specialists in the classics, the team has shone several times in the Grand Tours, particularly the Tour de France, thanks to many stage victories and the star form of Richard Virenque. In fact, with this team the French rider built his record as a multiple winner in the classification for the Tour’s best climber, wearing the distinguishing polka-dot jersey on the final podium in Paris no less than 7 times, a record that will be hard to beat. 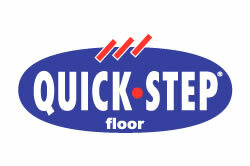 Our main sponsors include Quick-Step Flooring which is of course where the team gets it’s name from and Casino 41 who are a constant support. The team’s heritage is a point of departure—the incentive to continue writing legendary pages across all types of racing terrain. We know where we come from, but also where we want to go. In 2012 the team is ready to start exploring other stalking grounds like stage races, thanks to the arrival of important athletes such as Levi Leipheimer and Tony Martin. “When we acquired the team in November 2010, our vision was to build a world-class team in three years,” says Zdenak Bakala. “2011 has been a year of consolidation and preparation, and I am now pleased that we are able to announce some significant developments as we approach season 2012. Patrick Lefevere has assembled a strong team of international athletes, our management has been strengthened, and we are focusing on teamwork, technology and talent as we strive for excellence in everything we do. “Cycling needs to make a step forward and exploit its potential. Formula 1 underwent substantial innovation a few years ago: I see cycling as doing the same. Cycling must involve all components in the innovation process, from teams to the UCI to race organizers. 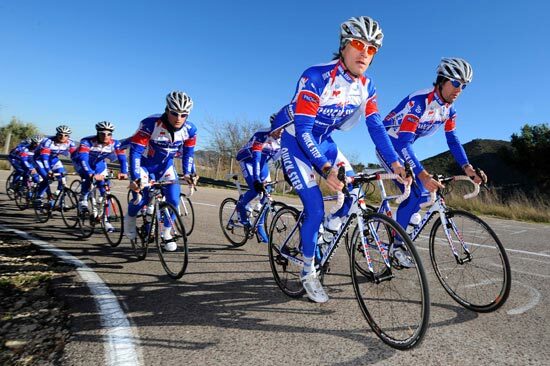 It is necessary for every part of the cycling world to be involved in the process. As far as our team is concerned, I hope that in a few years the team will be recognized as having a real and attractive brand that defines it, and that we will provide our sponsors and partners with even more important services and opportunities from both the commercial and brand recognition points of view. We’re certainly on the right track to achieve this. Treasure the past and build upon it to create a brighter future together: this is the new challenge for the Omega Pharma – Quick-Step Cycling Team.